I remembered hearing this band before, they had a track on the 2004 Summer Break Records compilation Sunny Teriyaki Hamburger Breakfast, probably the best song on the entire comp. I had to hear more. I decided to do some detective work & after several false starts, was able to contact Brian McKay - vocalist, guitarist, & founding member of Jetty Webb. We conversed by e-mail numerous times & he sent my a FREE copy of their self-titled 2003 release (recorded mid-2000). I was truly impressed by his gracious good nature & the bands fine musickal skills so I asked if we might conduct an interview. TL: "Jetty Webb started back in 1998, when Stuart Sikes (drums) & Brian McKay (guitar/vocals) moved from Dallas to Memphis," says bassist Tripp Lamkins. "Stu worked as an engineer at Easley-McCain Recording Studio, & we had band practice there. We named ourselves after a lady who used to live in their rental house on Manila. They kept getting mail addressed to Jetty Webb, so Jetty Webb it was." I'm always amazed & at the same time depressed by all the great musick that bands have created that has fallen by the wayside because of the commercial business of MUSIC & the unbelievable lameness of popular mainstream drivel. It is always such a rewarding experience to be able to experience a band like Jetty Webb. I can not thank Brian enough (& the rest of these great musickians). Thank you not just for the interview and fleshing out some intriguing missing detail, but for sharing the Lamar release. I am definitely looking forward to listening to this. And recently, we opened an online radio station, called Radio Web Tears Psychedelic Underground, which is broadcasting the rock and roll, 24 hours / day. 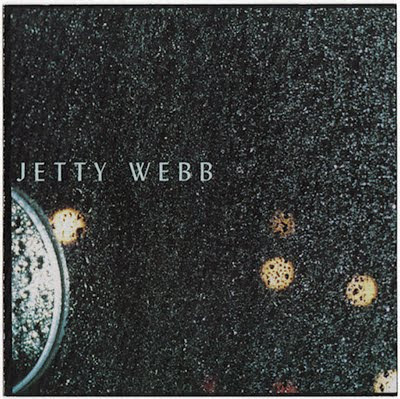 if you're interested in getting the Jetty Webb cd contact Shangri-La Records in Memphis. They're updating their website so I would just call and see if they have any more in stock. 'pretty sure they do. If you like JW you might also like The Satyrs..
still tons of great stuff going on today in Memphis. Check out The Barbaras, The Warble, Harlan T Bobo, River City Tanlines... too many to go into.. I'm pretty sure they still have copies. Thanks brother. Never would have know this band without you. I am just a guest poster here while Zer0 is in transition. Read about it here. He may be without internet right at the moment, but I'll pass this along to him. Also I'll check the link & e-mail you in a couple days. Thanks for the link to Shangri-la Records. I'm not sure if they have copies or not as their site said none available when I last checked, but as you said TL, they are updating their site, so everyone...check there if you want to purchase this great cd. 1,000,000 thanks back at ya. Ib got the Mir single from you, that's how this all began for me, so this is indirectly your baby. I really want to listen to this... just found Jetty Webb via Pandora. Can you re-up the file? for what it's worth, i've re-posted. I also posted an alternate version of track6, Jingle, recorded at Easleys in around 99/2000. Sorry, those last links were a pain in the neck so I just put them all in a zip and listed them on my public dropbox folder. I was in the band, so I suppose I'm able to share them without stepping on anyone's toes. @jb: Thank you very much re-uploading this, especially for the alternate track 6. I appreciate your generosity, and I am glad that my blog is able to introduce new listeners to your music, although credit should go to NØ for being the one to originally introduce your work here. I'm going to re-up your link to Megaupload, since their links seem to last longer than most other file hosting sites, and replace the dead link with both your link and the MU mirror. although i'm quite certain shangri la has some and they'd be happy to sell the plastic, i think we're just glad it gets a little playing. i have a few dozen un-released tracks collecting dust and after i vet them with brian, i may post a link back here for them as well.